We take our summer reading pretty seriously in this house. It's important to keep your brain moving as well as your body during the summer and it's a great time for the kids to spend more time reading (when there isn't homework waiting to be done...although, I am a summer workbook momma as well). 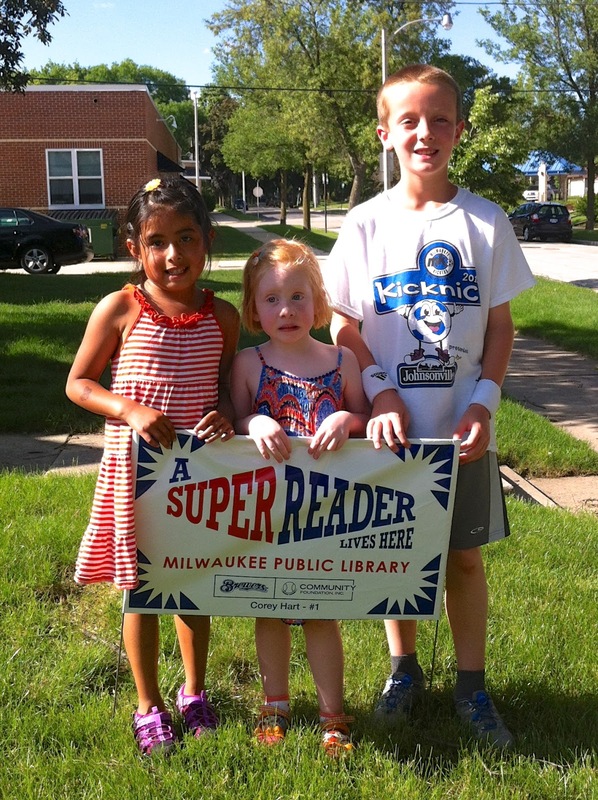 At any rate, we take full advantage of our neighborhood libraries and their summer reading programs. Why not make tracking your daily reading fun (Scholastic has a great app to track your minutes on the computer or mobile device as well) and earn some prizes in the process? 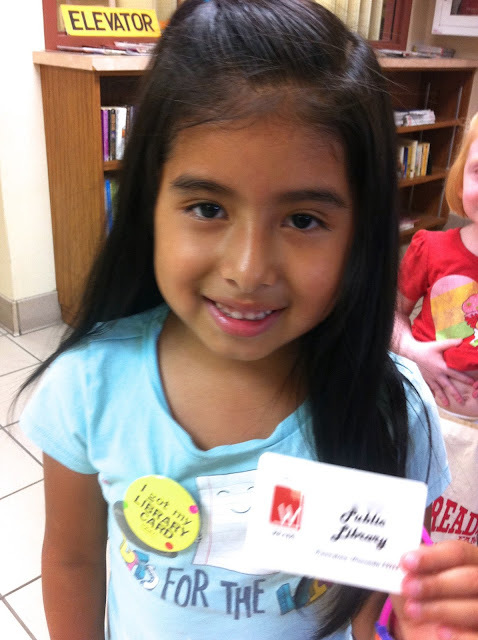 EJ got her library card last week and was so proud! it helps that her school teaches the kids cursive first, so the librarian was extra impressed that she could actually sign her name. She promptly picked out about 7 books to check out with her new card. Jack and I went with a simple listing chart for our book challenge this year. We also have a queue of documentaries on Netflix that we want to get to and added some fun categories at the bottom as well. Jack has a list of 10 must-read books that I chose that he will mark here (Wonder, Stargirl, Candymakers, Liar & Spy, The One & Only Ivan, Stealing Magic, Because of Mr. Terupt, Mrs. Frisby & the Rats of NIMH, Diary of Anne Frank, The Giver) and I have a list for myself of 6 that I have to read and some options for the additional four. I just finished my first book, To Kill A Mockingbird, and actually feel cheated that no one made me read it before now. Anyone have any suggestions of classic books that they have read (maybe for school, maybe for fun) that I should not miss? My high school focused on world literature, so we never read a lot of the things everyone else does. Our help project last week also involved books. We headed to our local bookstore and each picked out a book we love (mine is hard to see, but I chose Mr. Popper's Penguins). 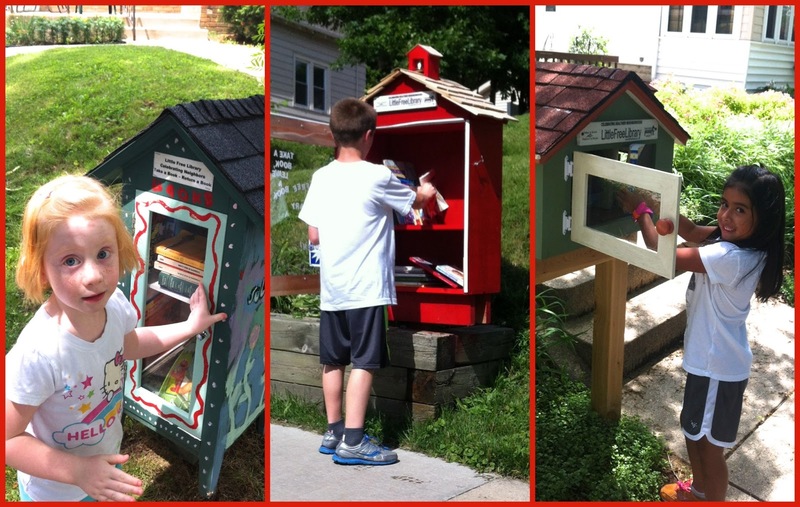 Then we headed out through our neighborhood and added them to the collections of several Little Free Libraries in our area. We are really lucky to have so many of these near us...such a great way to share books! So jealous of your Little Free Libraries! Sadly none in my 'burb but will have to go looking elsewhere. I just finished Chocolate War and also recently read Fahrenheit 451. Both I would highly recommend! After seeing the movie I now want to reread The Great Gatsby. Happy 4th!